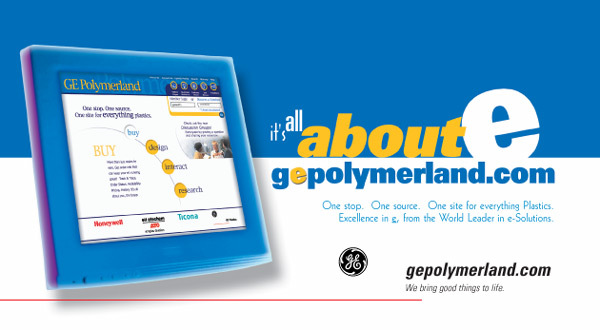 GE Polymerland, traditional leader in distribution of plastic resins for manufacturing, wanted to get the message out quickly that they were now the "One stop. 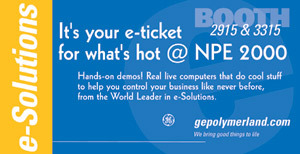 One Source" supplier to the industry as a result of the launch of their needs focused e-commerce web portal. TGIF created a marketing strategy based upon the many ways that "E" could create value for customers. From print ads, web banners ads, booth presence at the National Plastics Exposition to even the mantra of "E" taught to the sales force, the marketing effort paid off with a dramatically higher than expected volume of e-commerce transactions and sales within a year of launch. The Water System Group, was a small family owned and operated provider of quality water for the specialty brewed beverage industry. While recognized as the knowledge force in the coffee biz by folks in the know like Starbucks, Coffee Bean & Tea Leaf, Peets Coffee & Tea and a number of roasters and coffee retailers across the country, serious recognition of the company as a real "player" was lacking. TGIF attacked the situation by initiating a top-to-bottom complete rebranding based upon an assessment of the needs in the marketplace. The goal? To create and own a unique category in the competitive multi-billion dollar water treatment industry that would provide the visibility and leadership position that could stand up well to the established giants. 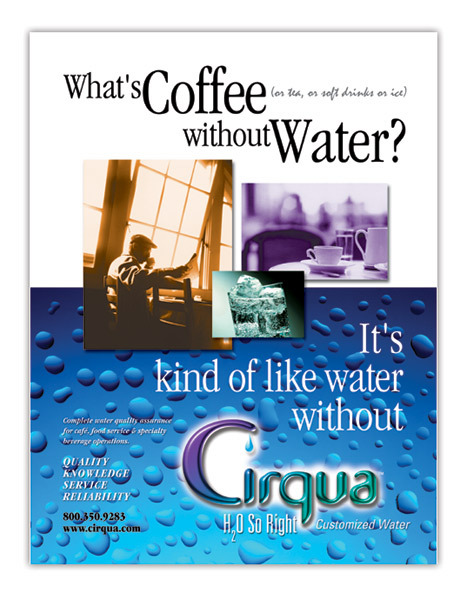 With a name change to CIRQUA™, a category creation called "Customized Water" (in recognition of the company's unique specialization approach) and a tagline that delivered a strong brand promise - "H2O So Right", combined with a limited but well-targeted ad campaign and trade show exposure, the company achieved exceptional brand awareness in less than 9 months from the start of the efforts. Sometimes marketing is an internal job as in the Sales & Marketing meeting in 2000 for a very big company facing a very big challenge. UPS had just announced the decision to go public. For an American industrial giant with decades of bedrock stability beneath it, going public was big. Very big! And the biggest challenge of all just might have been how to manage the internal workforce, many of whom were about to become instant millionaires, at least in shares. TGIF approached the task of producing a global meeting with a head-on tactic: acknowledge the issues, analyze the options, reinforce the belief in what the company stood for and paint a picture of what going public could mean for the future success of all concerned. The resulting event paved the way for an exceptionally smooth internal transition.